Fashion | Beauty | Body Positivity | Lifestyle | Pop Culture: Accessorize Me!!! Anyone who knows me, knows about my unhealthy obsession with accessories. 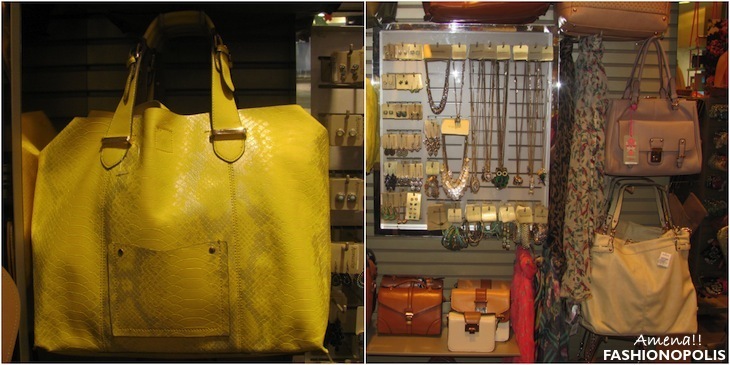 Be it bags, jewellery or shoes- I simply love them all! Other than never really having any trouble finding them in my size, accessories quickly and cost-effectively transform everyday outfits into stylishly different looks. 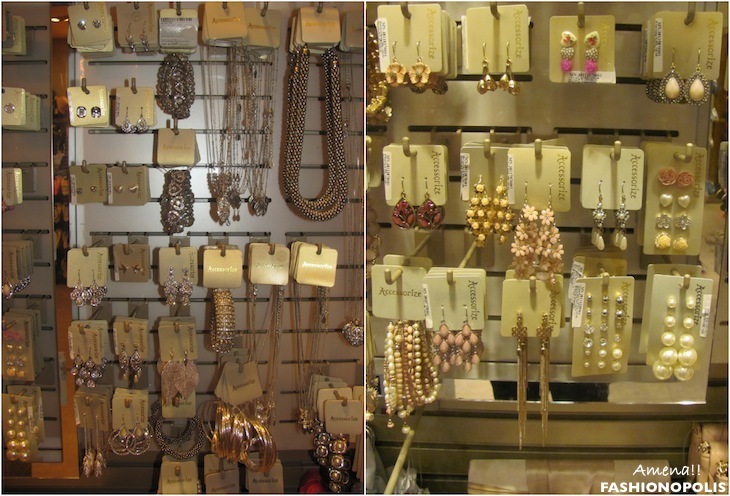 When it comes to trendy accessories, no brand does it better than Accessorize. Every time I enter an Accessorize store, I feel like a child in a chocolate factory or Alice in Wonderland. 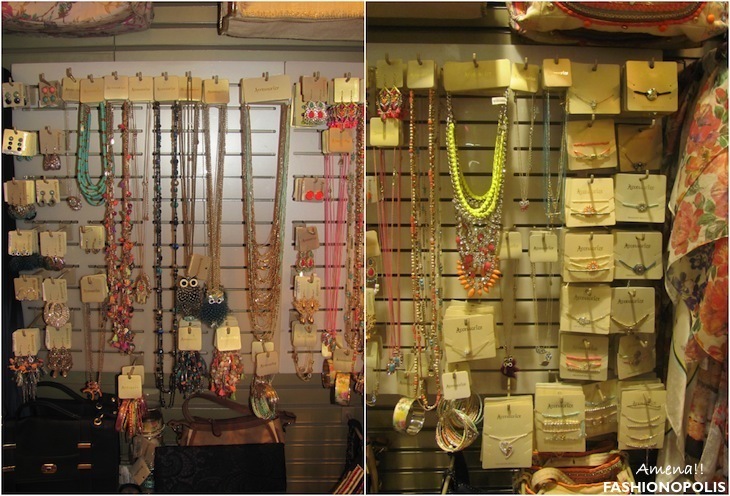 From colourful baubles to eye-catching bags and gorgeous trinkets, Accessorize shop is a treasure trove for all accessory lovers. 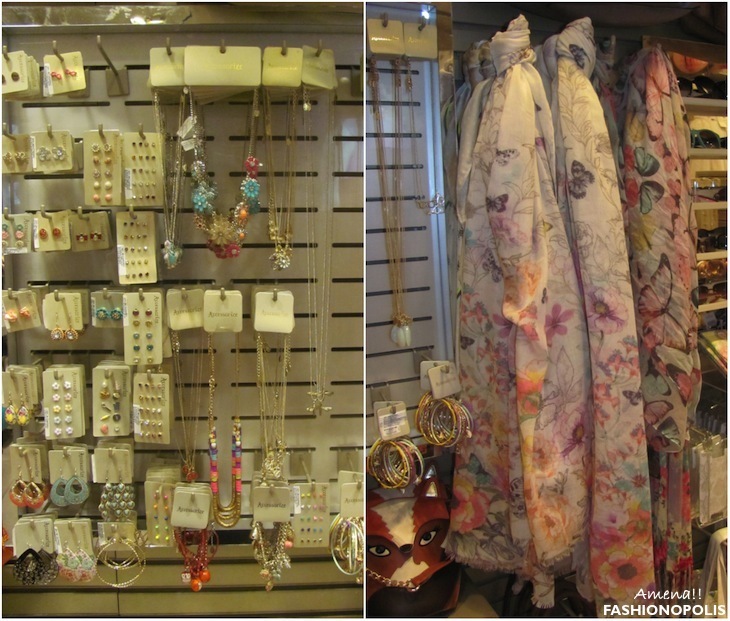 At my recent store visit, I had a chance to go through the entire Spring-Summer 2013 collection. Thematically influenced by different cultures and concepts, the current collection has something for everyone. Since buying it all was next to impossible, I decided to do the second best thing: Create collages of my fave pieces from each collection. 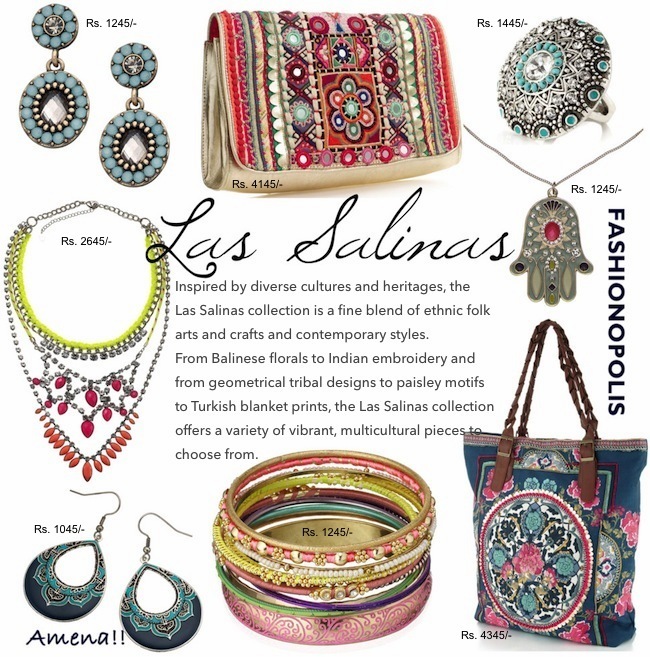 All five collections left a strong impact on me, but the Las Salinas collection is hands-down my fave. 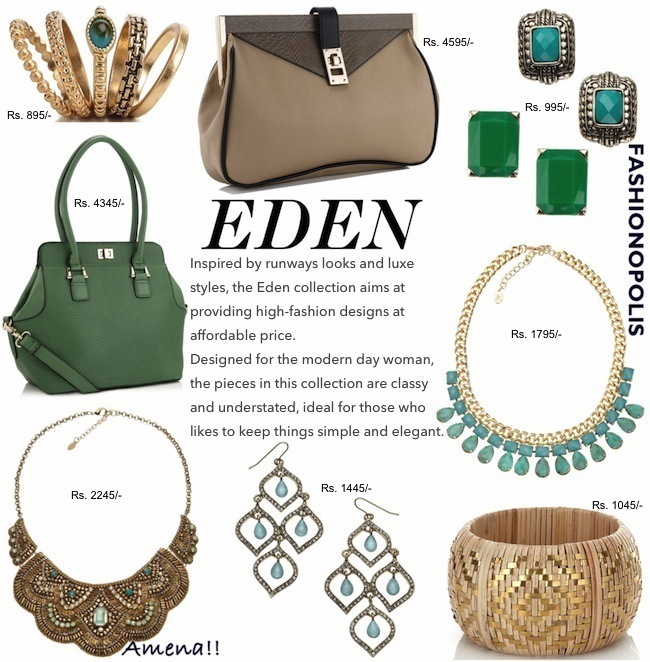 One of the things I have always loved and admired about Accessorize is, while their collections are always on-trend, the pieces are designed in such a way that even after the trend and season is over the pieces never really go out of fashion and can easily be worn at any time of the year. Like me, if you too are an accessory junkie, the lastest collection from Accessorize has your name written on it. I've never heard of this store before, but it looks really cute! I definitely need more accessories. They sure has great collection !! I am going to take inspiration from all these beautiful collages you have put up. Cuz I desperately need some. What I do is I buy two random accessories and wear them with everything for the next two months. 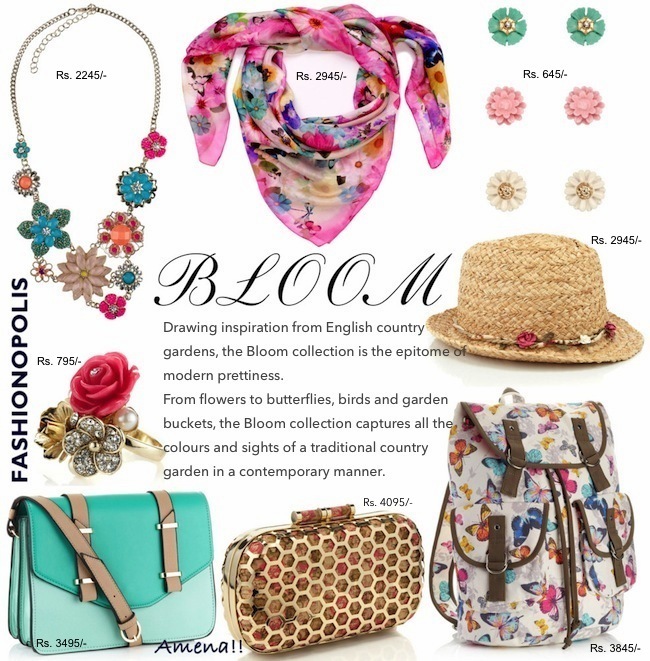 Wow,love the array of accessories,especially love the pretty Bloom Collection! Thanks for your sweet comment on my post on GingerSnaps! ,maybe you want to follow each other? 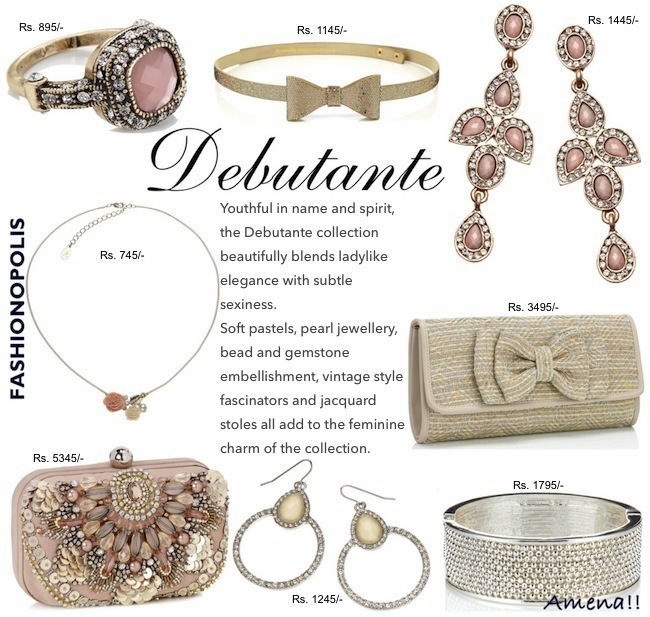 yeah, accessorize is totally rocking brand..i buy from it often!!! i love the layered necklace these are so in trend nw! Your collage is making me drool over their products!! Amazing post babes! Love the bloom collection! This brand has some amazing pieces!! Hope you are having a wonderful day! Lovely collection of scarfs and ofcourse bags!! Nice collection of accessories i loved it. loved their collection last season. ur collages make me drooooooool! I'm impersesd by your writing. Are you a professional or just very knowledgeable?